As you move up the career ladder, senior positions get fewer and the competition gets fiercer. To make it to the CEO chair takes a lot more than an impressive track record and ability. Traditionally, many CEOs are selected from finance positions, like a CFO. But more and more CEOs are being appointed with backgrounds in other areas like operations, and marketing and sales. This was my experience. I came from a marketing background, working my way up to senior roles when I was offered the opportunity to become the CEO of an industry body facing some tough challenges. 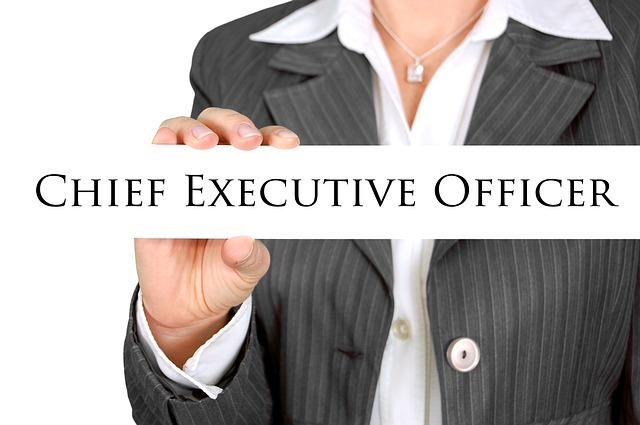 Regardless of your background, it can still be a difficult jump to go from executive to CEO. Going for a CEO role is highly competitive and recruiters and boards are usually looking for specific characteristics for individual roles. So it’s important to know how to present yourself and your track record. Whether you want to move to the next level of your career, or you’re aiming for the CEO seat, here are some tips on preparing yourself for the challenge. For anyone that wants to grow as a professional and broaden their abilities, it’s important to engage in continuous learning and development, and experience different industries and roles. This doesn’t mean you have to change jobs, but consider whether you could move into a different department or division so you have the opportunity to broaden your experience. Even working on task forces or in project teams that give you exposure to different skills and roles is useful. Passion provides you with the motivation to continue to work, and this requires you to be in an environment that brings out the best for you, otherwise you might need to think about where you really should be. For instance, in my role if I can’t be passionate about bricks, how can I expect anyone else to be? Failure is an orphan, while success has many fathers. Back yourself and have the courage to make decisions and take risks. But on the flip side, you need to have resilience for the times when things don’t work out and you have to still turn up the next day and try something else. When times are tough and you’re struggling to continue, you need to be able to dig deep and draw on that inner motivation and resilience so that you can keep pursuing your career goals or the path you’re on. To do this, you should have an awareness of what motivates you. It could be a loved one, a desire for success, or anything else as long as it drives you towards success. Being open to constructive criticism is a must. Receiving feedback isn’t a sign that you’re doing things wrong. Instead, it’s an opportunity to become better. A good leader should view feedback as a positive thing, and a helpful resource for moving up in your career. Elizabeth McIntyre is the CEO of Think Brick Australia, Concrete Masonry Association of Australia and Roofing Tile Association of Australia. She is an experienced leader with a proven track record of reenergising established brands and has worked across a diverse range of industries, including entertainment, television, automotive, sport and building materials.